Thank you everyone for all your wonderful comments and well wishes! I didn’t mean to draw so much attention to my ailment because honestly, it’s a bit boring to keep hearing about it, but my husband’s experience with the rotisserie chicken and the entire contents of my knife block was so funny, I had to share it 🙂 . I hope everyone had a fantastic Christmas with plenty of great food and great company. I hope Santa was kind to you all too and everyone was able to get what they wanted 🙂 . I got a wonderful pressie myself from my guests on Christmas Day. One of the family members is visiting from the UK so he brought over a bunch of my favourite childhood British chocolate. I’m seriously in heaven and only a little bit ashamed to say that I have hidden it from my children. So, since we’re winding down the year and looking forward to bringing in the new year next week, I thought I’d take the opportunity to share my 13 favourite posts for 2013. They are in no particular order, but these are the ones I really enjoyed making, posting and eating! I found it interesting to see what others searched for on my site; surprisingly my top 13 and the top 13 posts on my site are totally different! But that’s all good! I really wanted to list my favorites from around the web but that would’ve made this post endless! I just wanted to say that I have been inspired by so many of my amazing blogger friends. Each and every one of you has rocked this year with one great recipe after another. You all never cease to amaze me and I look forward to what 2014 has in store. Wishing you all a very happy, prosperous and safe New Year, from my family to yours. What a beautiful round up Nazneen! I love all your posts!! Keep having a beautiful new year and stay warm! Minnie@thelady8home recently posted..Las Vegas – Toasting New Year in Style! Thanks Minnie! Have a great year, I look forward to seeing special things from you! I love your posts, you keep it so real and honest. LOVE you for that my dear sweet friend. HAPPY NEW YEARS!! Wish you and your family a great, healthy and happy year ahead. A wonderful array of yummy dishes. Pinning. I love posts like this because they let me catch on posts I’ve missed from bloggers I’ve just discovered. So many things I want to make from this! Excited to follow you in the New Year! Thank you Davida! Same here, I’m looking forward to reading your posts and recipes in 2014! I think it is interesting that the readers favorites were different from yours. I was just talking about the ingredients in Harissa and read my husband your list of ingredients. I’ve enjoyed each and every post and am looking forward to what you share with us in the coming year. I’m wishing you good health and lots of happiness in 2014. Thank you so much Karen! Wishing you the best for 2014 also. I look forward to your wonderful recipes and stories! definitely a great year 🙂 so many great recipes I am eying that roulade..Hope 2014 will bring up more joy, happiness and better health. Thank you Dixya! Happy New Year to you and wishing you all the best, my dear! Thank you so much Jenny! Happy New Year! This is quite the delectable round-up, Nazneen. Such a varied and beautifully prepared assortment of dishes. I’m happy to hear that you had a wonderful Christmas and sincerely hope that you and your family will be able to say the same about the New Year. Thank you John! Wishing you all the best for the coming year and looking forward to what you have in store for us! No there is nothing to be ashamed of. I always hide chocolate from my daughter and husband because I know if I leave it outside, there will be none left for me when I want it. 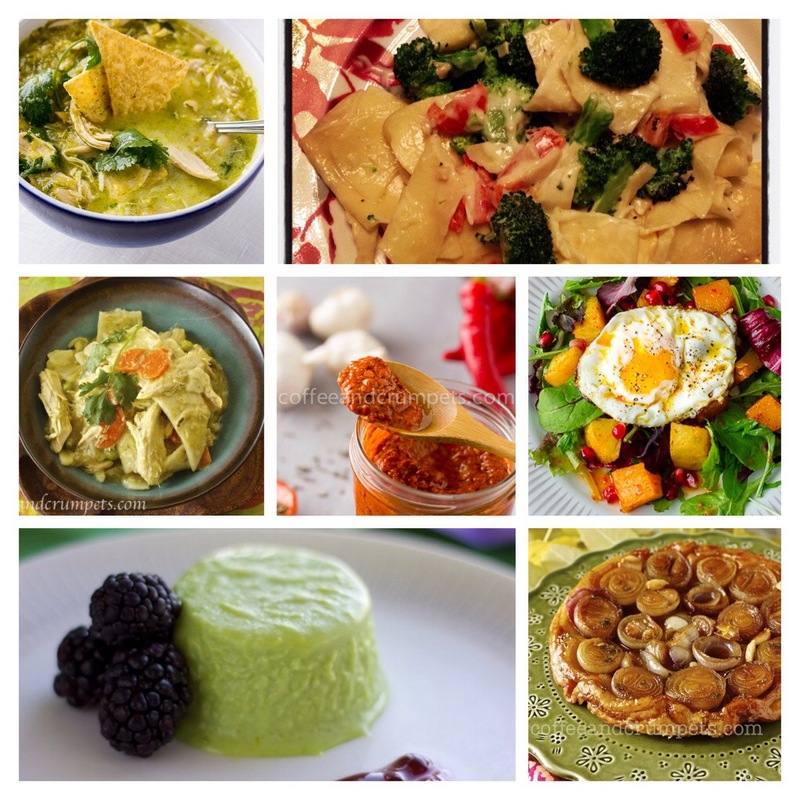 May year 2014 bring you health and happiness and I see more of your wonderful recipes. Thank you so much my dear Balvinder! Wishing you and your family all the best! That’s a great list! So much fun to look back, isn’t it? But we’re getting hungry, so are eager to see what you’ll be making next! 😉 Happy New Year! Thanks John! I’m eager to see what you and Mrs KR have planned for the coming year! My absolutely fave is your chilli sriracha sauce….. Wish you a Happy New Year then my friend !!! Thanks Dedy! I love the sriracha myself! I’m having the shallot tarte tatin as my favourite. It was a close call though. What are your favourite chocolates from the UK? As of May time I’ll be flying to Orlando and Vegas a lot, so could always stick some in the post. David Crichton recently posted..Lemongrass and Turmeric Prawn Masala Curry. Thank you David! That is so sweet of you, but if you’re coming to the States, then you are definitely coming to visit me!! Thank you Shuhan! I look forward to your posts in 2014! I love your list! the readers list is fun but I think we might have similar tastes. I vote we get together and go for Banh Mi’s on Federal really soon! Have a great new year, Nazneen and my resolution is to get together soon. P.S. My daughter spent a semester in London and fell in love with all the chocolate shops! Lovely roundup and pics. I can see why they are among your favorites. Isn’t it just amazing to look back and see all you’ve done in the year! Here’s to good health and joy in the New Year! Thanks Monica! Yes, it’s quite impressive when you look back! Thanks David! 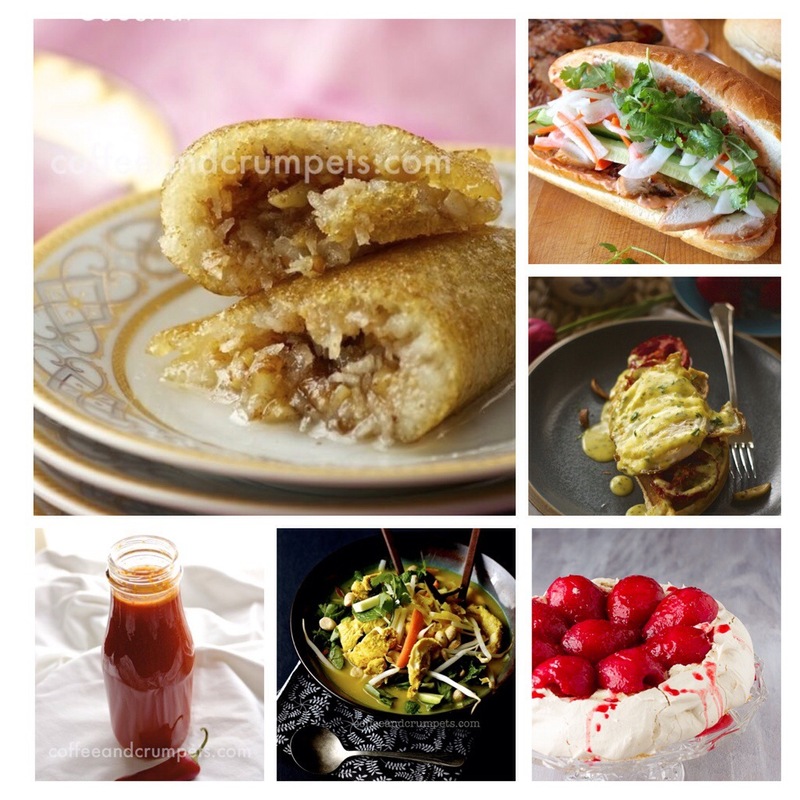 I hope you’re not disappointed but those are all mine recipes posts! Thanks Charlie! Yes, I thought it was very nice of the young man to bring me chocolates! Happy New Year Nazneen. I like that you posted this roundup of favorites. I hope I have time to do something similar. How do you get that instagram banner collage across the bottom of your bottom header? Thank you Lea Ann! The banner is from a WordPress plug in. Just search for Instagram on the plug ins search bar. 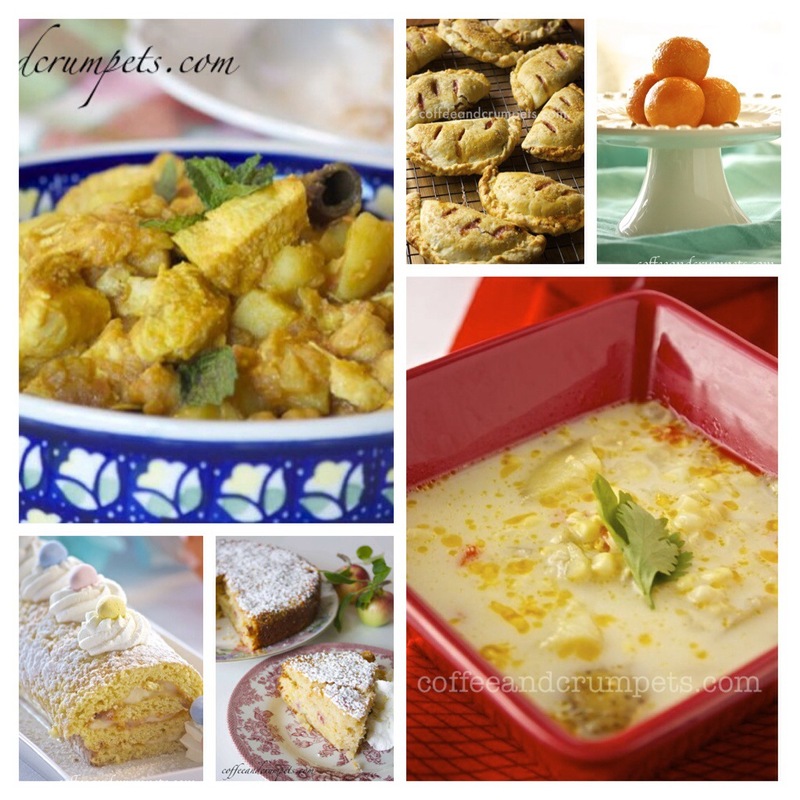 A totally delectable-mouth watering round up of recipes Nazneen! Hope you had a wonderful holiday – Happy New year! shashi @ http://runninsrilankan.com recently posted..Tad Healthier Christmas Cookies! Thank you Shashi! You too, have a wonderful 2014! 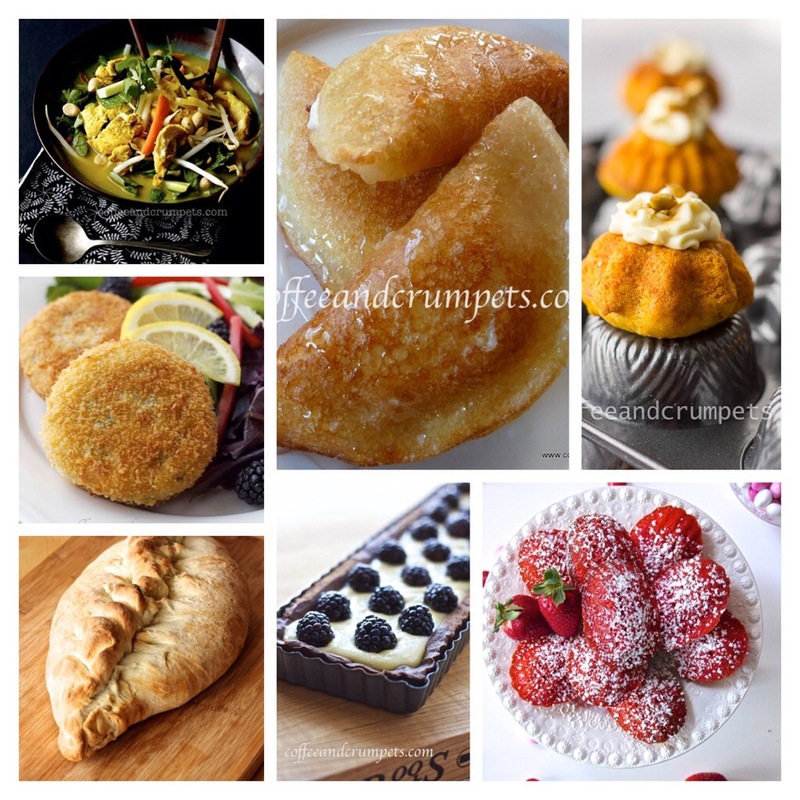 What a great selection of all scrumptious dishes…Happy New Year, Nazneen! Thank you, Denise! You too my dear friend! So you didn’t say daaahling, what is your favourite British chocolate? Looks like its been a year of fabulous eats for you. It all looks so good! I have my beady little eyes on the shallot tatin. May the upcoming year bring you lots of health and happiness. Hmmmm, my fave chocolate? Everything!? I love the Galaxy bars, Mars bars and Bounty I have quite a few though!